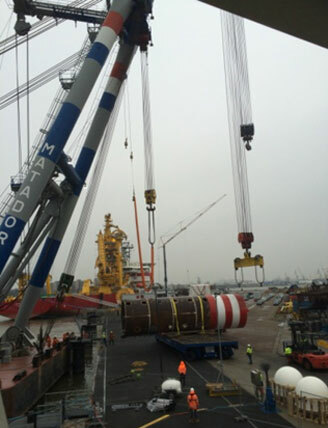 Brave Tern was the first of Fred Olsenâ€™s Tern vessels to undergo upgrade work by Franklin Offshore at their modification yard in Rotterdam. 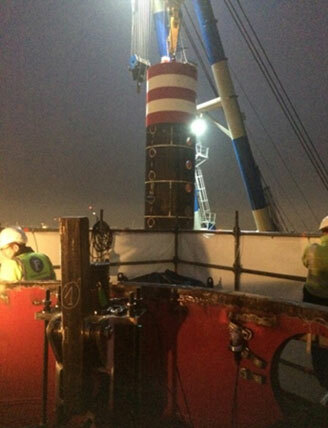 The upgrade included extending the jacking legs by 14m thus making the legs 92.4m long. 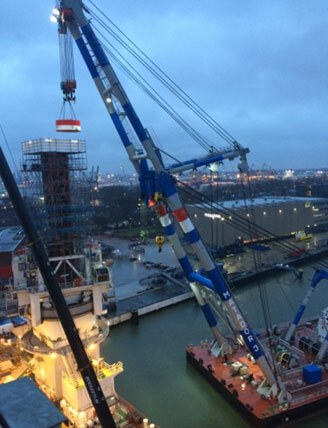 The cranes will also be prepared for a boom extension of up to 20m. This will include both an insert piece for the crane boom and an extension of the A-frame. 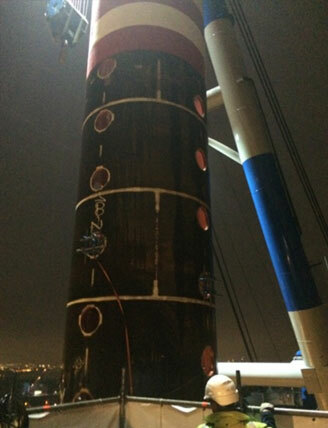 The project involved using the Firefly orbital welding machine to carry out the cutting, beveling/prepping and welding of the four leg extensions on the Brave Tern vessel. Video footage of Firefly being used with an oxy-acetylene cutting torch. Video footage of Firefly machine being used in prepping / bevelling a work piece. Firefly welding machine being used during the Brave Tern vessel upgrades. 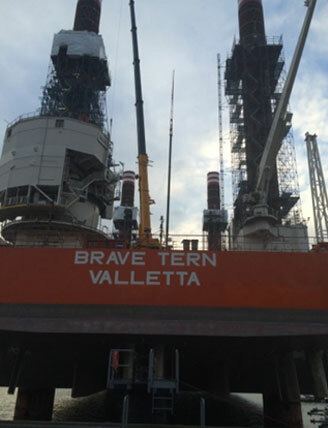 Finished welds on the Brave Tern vessel upgrades at Rotterdam docks. 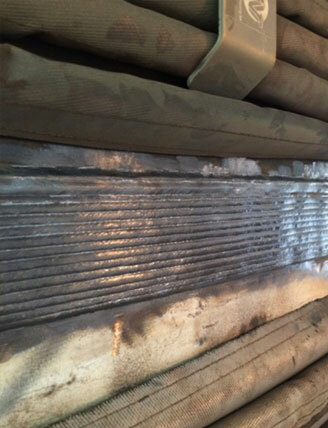 Cutting â€“ the standard Firefly track / ring was used for the cutting and welding processes. A specially adapted front end was fitted to the Firefly carriage to allow the fitting of the oxy-acetylene cutting torch. Prepping / bevelling â€“ special fittings were attached to the Firefly carriage to enable bevelling - an inner 30Â° bevel attachment and an outer 30Â° bevel attachment were used. Alignment â€“ manual alignment using internal jacking system consisting of 4x 300 jacks (up / down) and 4x 150 jacks (hi / lo). 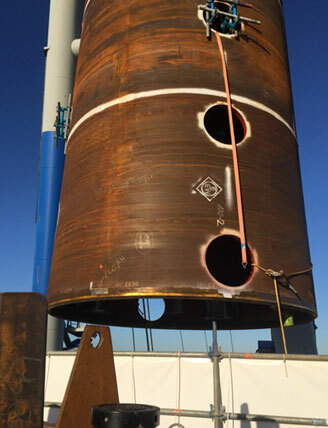 Heat treatment â€“ the Miller Pro Heat 35 heat induction system was used throughout the project. 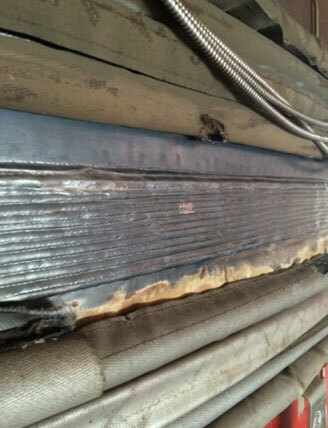 Welding â€“ was carried out using 4x Firefly welding machines with welders working in a set sequence as set out by the Weld Engineer. 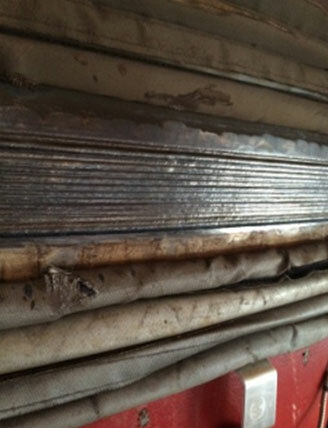 Finished welds â€“ finished welds were inspected by DNV and the clientâ€™s welding inspection team. All UT inspection carried out by a 3rd party. Firefly orbital welding machine with special cutting torch and bevel attachments; integrated data logger; Lincoln S350 inverter; STT module; robotic wire feed; water cooler; Miller Proheat 35 heat induction system and a specially built transit cube for the welding equipment. Before going to sea, the integrity of the Brave Ternâ€™s legs are tested by Franklin Offshore.